French Polynesia's president Edouard Fritch is expected in the US this weekend to sign a memorandum of understanding to build a floating city in the territory. Mr Fritch is to meet in California with the Seasteading Institute which is backed by billionaire and Paypal founder Peter Thiel. 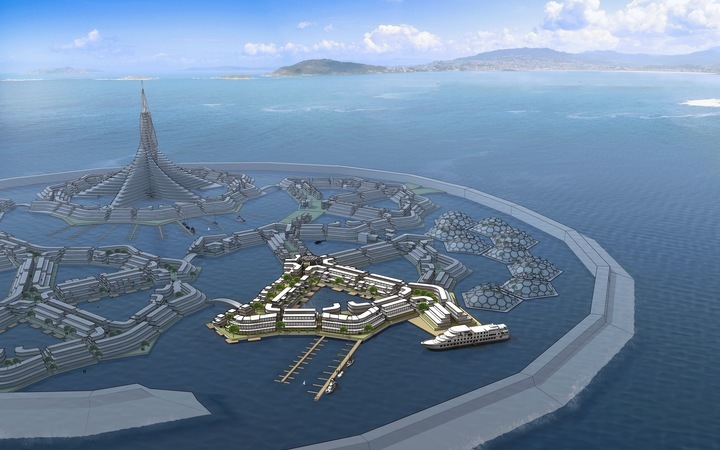 The Institute's website said there is no open space for experimenting with new societies that is free from political influence so it is working with a team of marine biologists, nautical engineers, aquaculture farmers, attorneys, researchers and artists to enable seastead communities or floating cities. The group visited French Polynesia in September 2016 and found that its links to France, its autonomy and calm waters, offered a suitable environment for the project. Its executive director Randolph Hencken said he worked for three years to find a host nation. He said the agreement with French Polynesia stipulates that French Polynesia will work with the group to create a legal structure for seazones with a special governing framework by the end of 2017. Mr Hencken said the venture is poised to launch a seasteading industry that will provide environmental resiliency to the millions of people threatened by rising sea levels.